To kick the day off, Gramafilm created an animated countdown timer played out on a huge 10m screen. 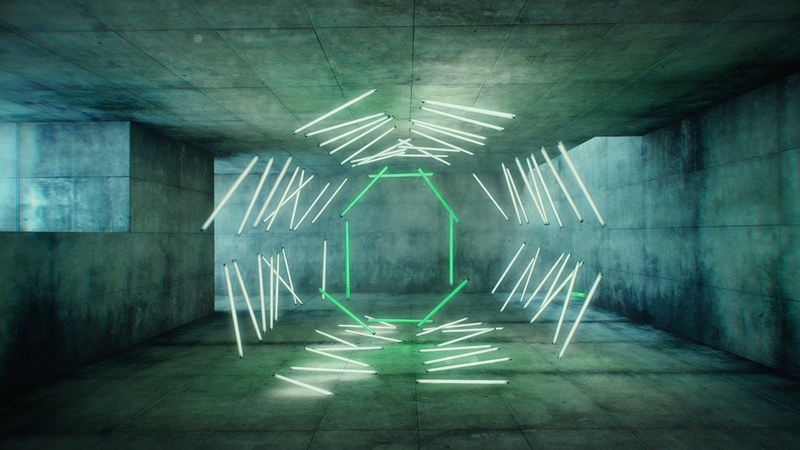 Taking cues from the building and event design, the piece existed in an imaginary side room of the powerstation with gravity defying neon tubes chaotically spinning in a swarm. This periodically organised to form loose digital clock style numbers. Gramafilm created the idea and worked with frequent collaborators Formation for the animation, surfacing and rendering. Early sketch of the idea. Still from the first animatic. Screenshots of Formation working on the project. Being played out on a 10m screen.